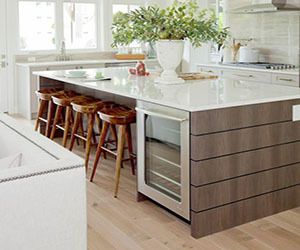 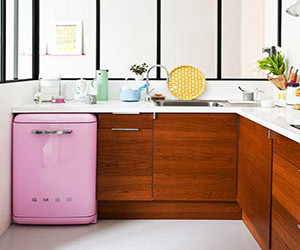 This modern kitchen offers up just a little bit of color, but when it does it is bold. 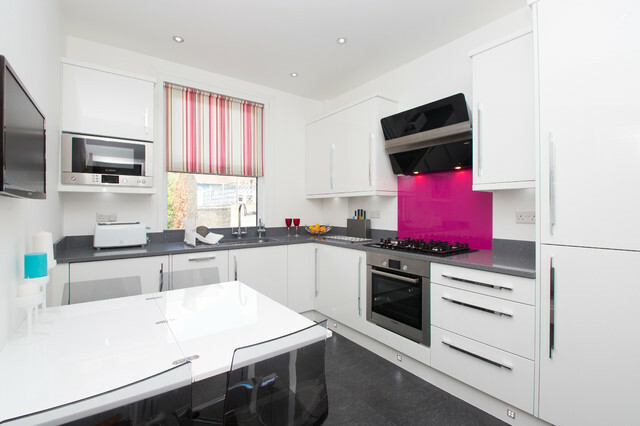 You will love the magenta backsplash above the stove. 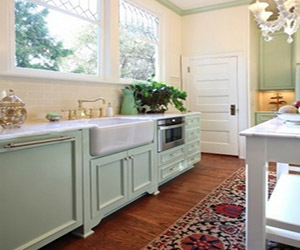 It is a strong contrast to the white and gray of the rest of the kitchen, but it is bold enough to work.